Hire and train unique workers, craft hundreds of legendary items, gear up your heroes for battle in the Arena, trade with your friends and work together to reach the coveted #1 rank! Play on any platform and sync your data across devices! At Cloudcade, we pride ourselves in fostering a transparent, autonomous and work hard, play hard environment. Join our rapidly growing team and help us bring the next level of cross-platform gaming to millions of players worldwide! 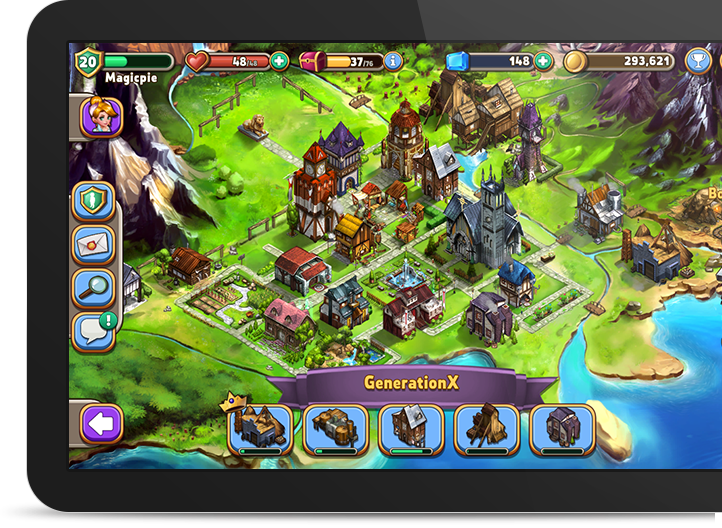 Cloudcade is a free-to-play mobile games developer and publisher with a mobile-first cross-platform approach. Headquartered in San Francisco, we create beautiful and innovative midcore games with superior gameplay and global appeal.